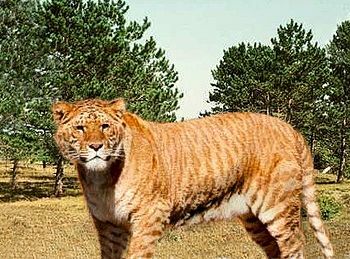 The liger is a cross between a tiger and a lion. The inter-fertility between these two large cats is indicative that they may have originally been derived from the same ancestral "created kind" or "baramin". Inter-fertility data is recorded in the HybriDatabase, a database tool enabling creation scientists to study biology and creation-based systematics. This page was last modified on 20 March 2014, at 17:15.